Føresvik harbour in the municipality of Bokn welcomes visiting tall ships to a small community in a beautiful setting. Bokn’s community centre Føresvik is located northeast on the island Vestre Bokn. Here you find a grocery shop just and excellent mooring facilities. 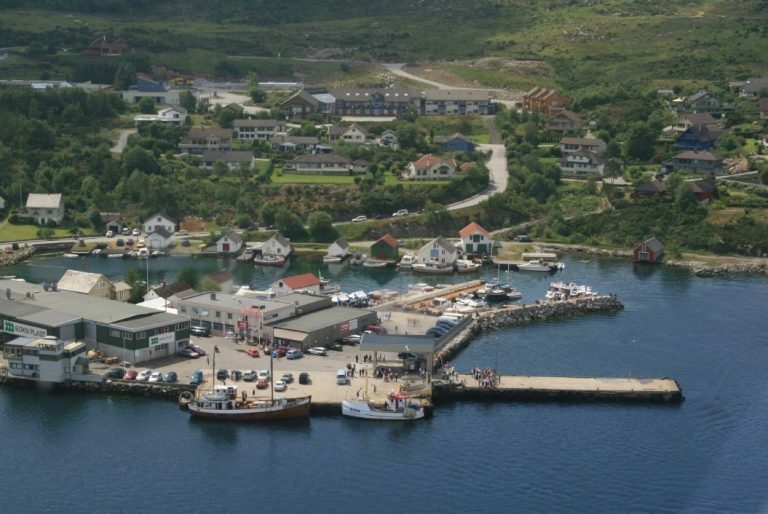 Føresvik is a popular local harbour and both sailing boats, cabin cruisers and small commecial fishing boats are often to be seen here. The docking of larger vessels, due to the nearby Bokn Plast/High Comp glass fibre company, is also a daily sight in Føresvik. The harbour holds 90-100 m of concrete quays and filling possibilities for both water (3/4 inch hose with 6 bar pressure) and fuel. A smaller wooden quay serves the smaller sailing boats, cabin cruisers and fishing boats, making Føresvik harbour a dynamic place to visit for all. Bokn also has excellent connections with several buses daily to and from Stavanger and Haugesund/Bergen.